From 15 to 17 April 2009 I had the opportunity to spend a few days in the north African metropolis of Algiers. I was invited by the Goethe Institute there to give a short talk at the opening of an exhibition on the German graphic designer, type creator and professor of advertising Lucian Bernhard. Final presentation of all the posters. Top: Fatima's hand, a traditional Arab theme. Photographs by Verena Gerlach. 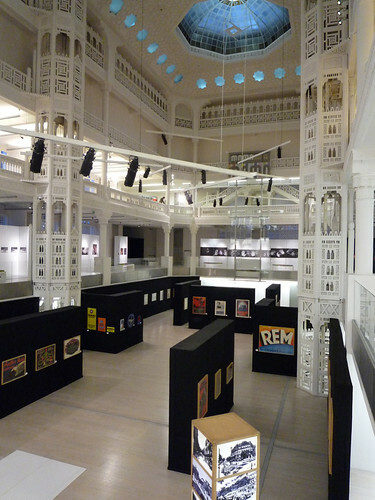 The exhibition, which is taking place at the Musée National d’Art Moderne et Contemporain d’Alger (MAMA), was organised by the IFA [Institut für Auslandsbeziehungen, the German institute for foreign cultural relations] and the Goethe Institute, and shows most of Bernhard’s important posters and commercial works. 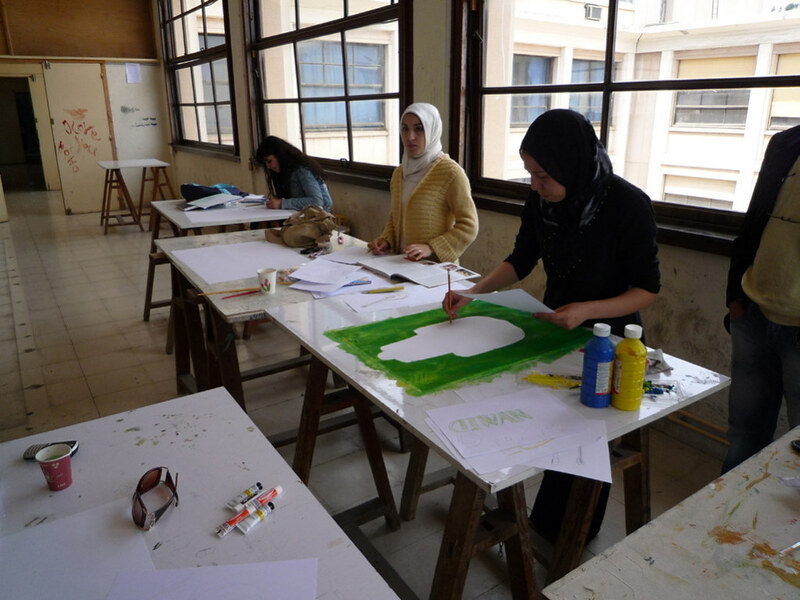 I ran a two-day poster workshop at the École des Beaux Arts d’Alger to accompany the exhibition.&#8232; The school’s building is itself amazing: all the studios look out on to the city and the sea. The group was a balanced blend of first- to third-year students from different creative departments. Our brief was to design a poster announcing a concert by German-Moroccan-Algerian band Diwan in Algiers in late May. The Lucian Bernhard exbition at MAMA. 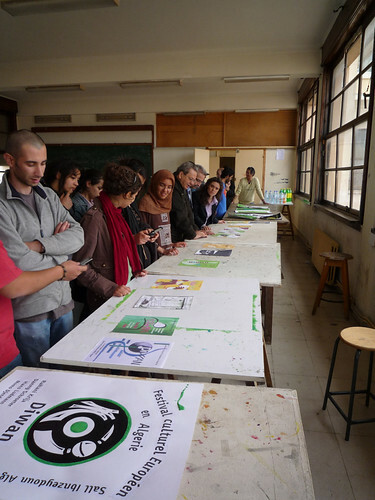 The students could opt to work completely ‘analogue’, or on computers. I also supplied them with several of my typefaces in order to maintain the idea of learning from me as a designer with specific design principles. After just two days, we were all very happy with the results. And it was refreshing to see how differently the students dealt with the task at hand, from very traditional to completely contemporary methods, to somewhere between tradition and modernity. I now have the opportunity to go back to Algiers for two weeks in November and run a workshop that will include the whole city, which, if you can imagine it, is a city still largely free of commercialisation and advertising. See fraugerlach.de/?p=527 for more pictures of the workshop.